Popping in for a moment. 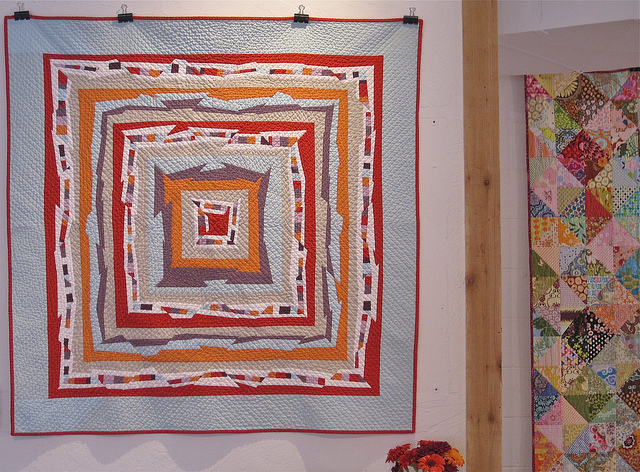 The studio’s all clean and ready for some sewing this afternoon and I’ve organized quilts for Thursday’s lecture with the Tacoma Modern Quilt Guild (please come if you want;). I’ve got the samples for Part II of the Psychedelic Baby Block workshop out for air. 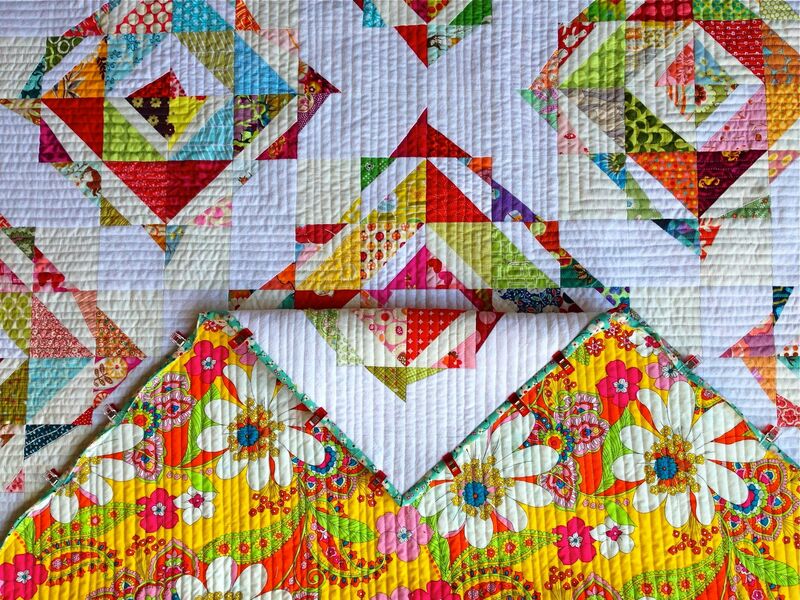 Tomorrow’s class is full, but if you’ve taken part one and want to come play with finishing it up or your secondary blocks please do! It will be an excellent opportunity to get your improv on. 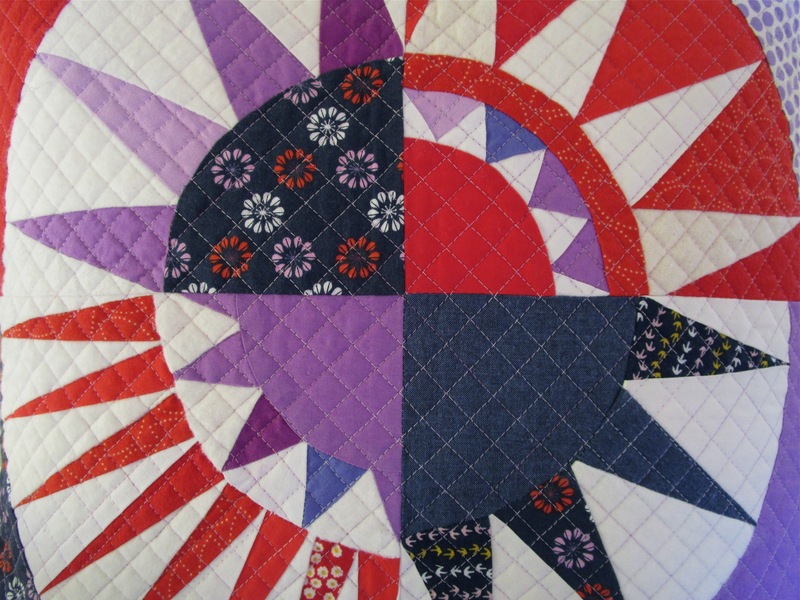 I’ve had a request for the Modern Straight-Line Quilting workshop on Friday May 26th, if you’ve been trying to make it to this class here’s your chance! I’ve loved teaching this workshop. We make some useful nesting baskets with our panels. 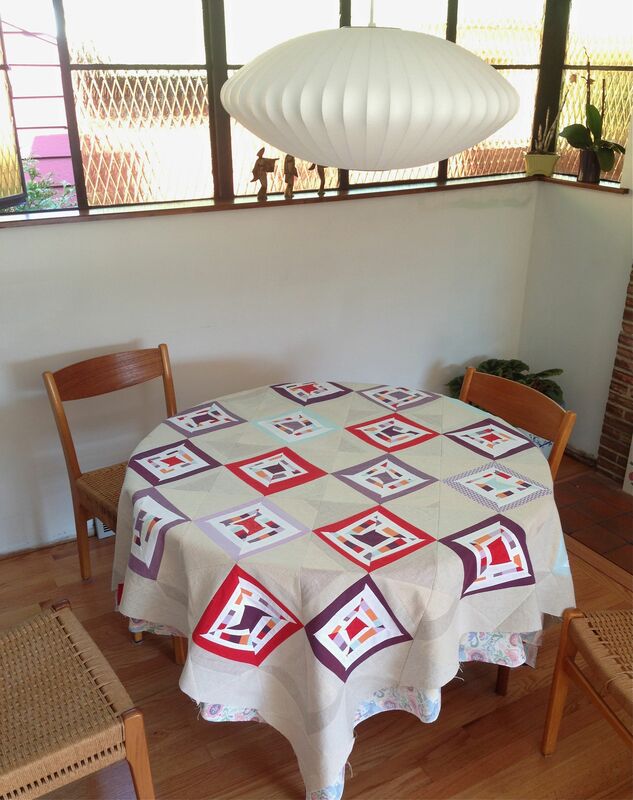 One spot left in Memorial Day’s Value Quilt Workshop. 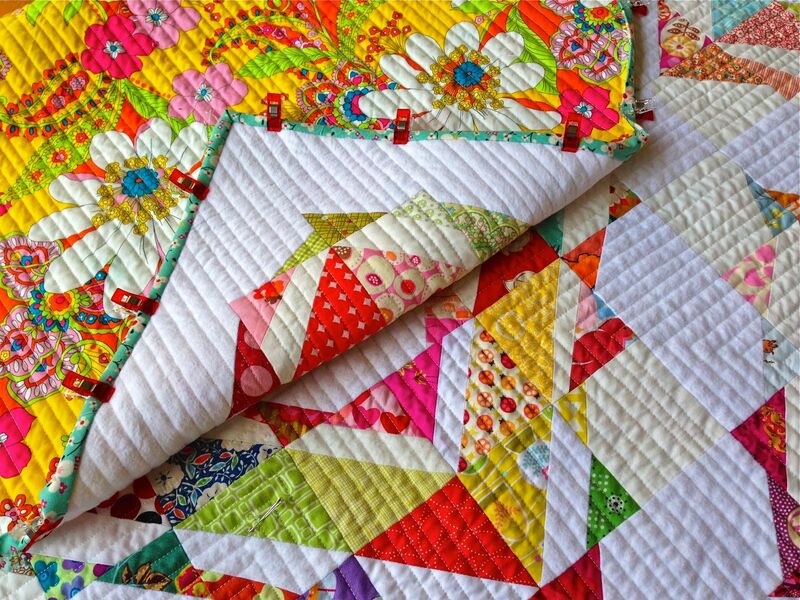 We’ll cover how value drives quilt design and make hearts and other shapes with simple half-square triangles. I’m trying to get some squares cut from my stash to make available. 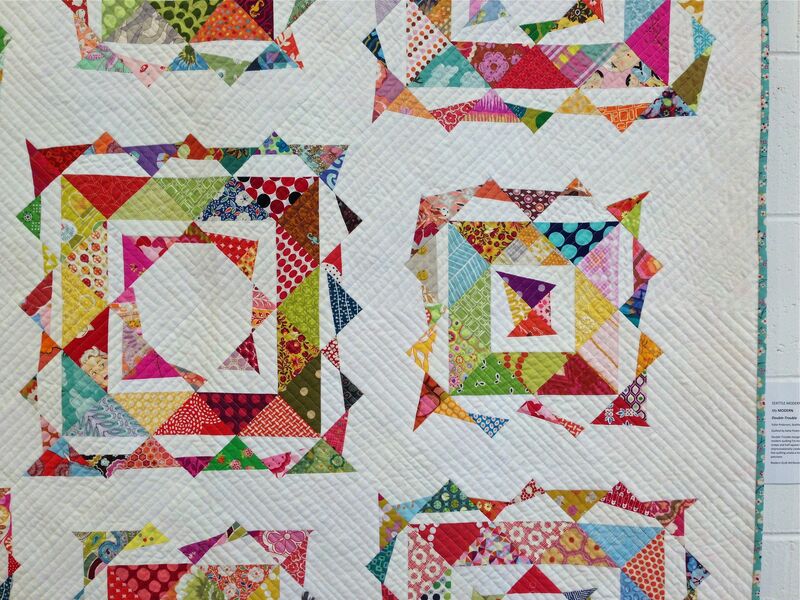 Some students and I’ve been playing in new color ways with one of the improv block techniques I’ll be teaching at Quiltcon. Even putting pillows on the bed puts a combo in my head and leads me out to the studio to pile fabric. 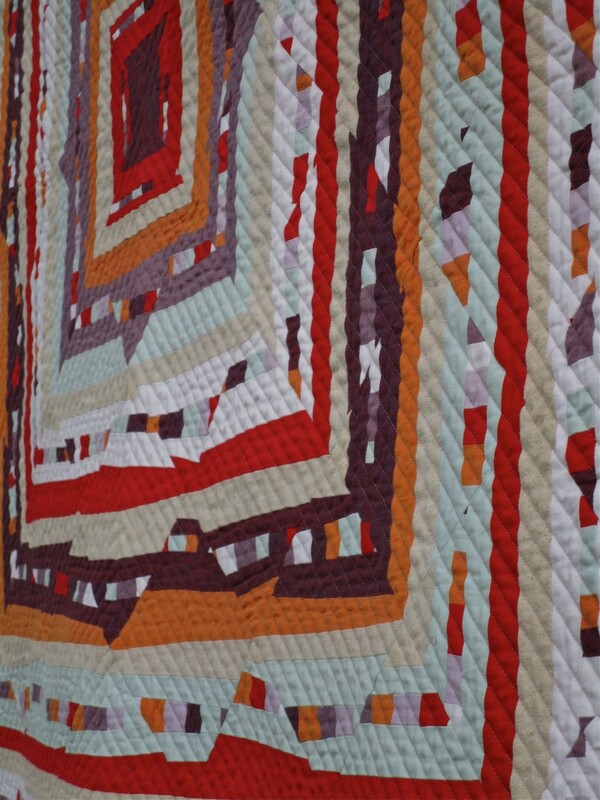 I pre-ordered The Modern Quilt Guild’s new book that has a few of my quilts in it. I’ll be sure to share when I receive it. I’ve got a birthday present to make today and some celebratory roller skating tonight. We’ve been into making and gifting these Michelle Patterns grocery bags with fabric from stash in the studio lately. That’s it for now peeps. Hope you all have time to get your craft on this week. 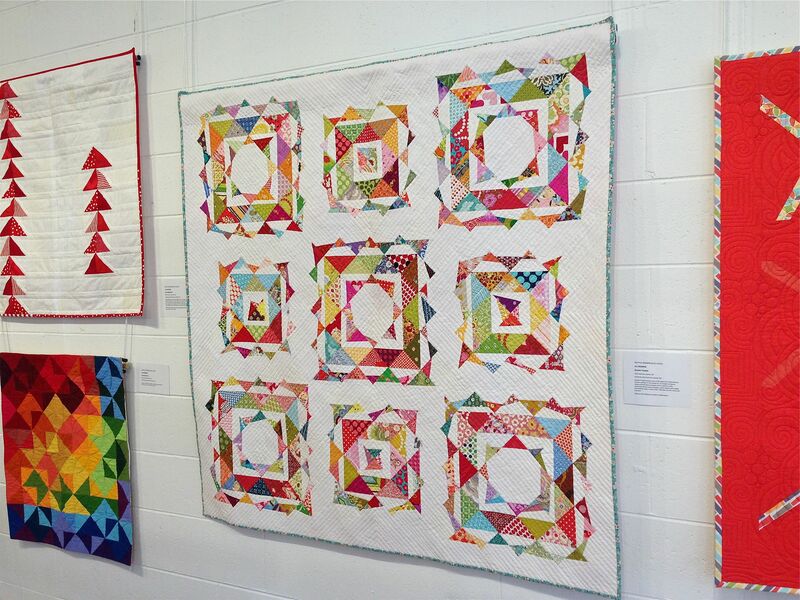 This year was a skip year for me at Quiltcon, but several of my quilts made the show. Including Diving Geese. It was a last minute thought to enter it. 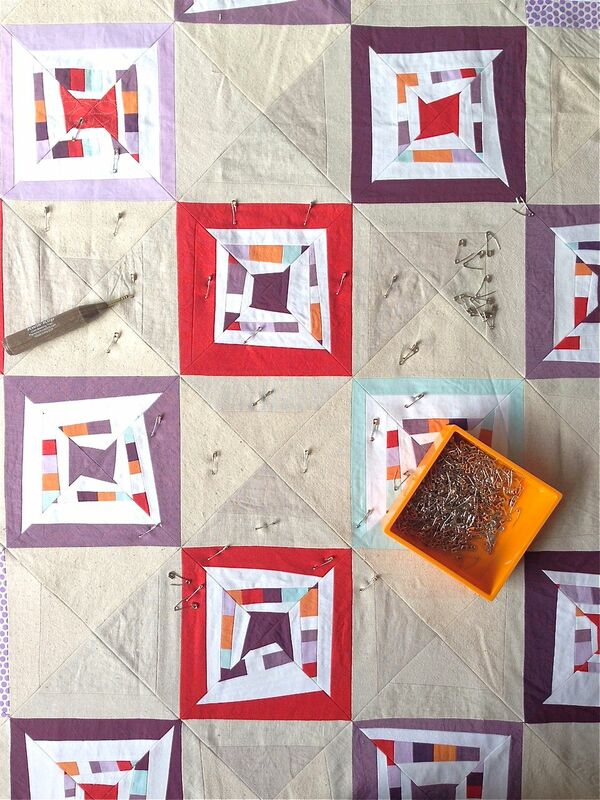 The process of designing and piecing the quilt seemed easy compared to the task of quilting all that negative space. My thought was a sun-like concentric circle starting up in the top right corner, but actually sitting down to do it was, well…not happening. 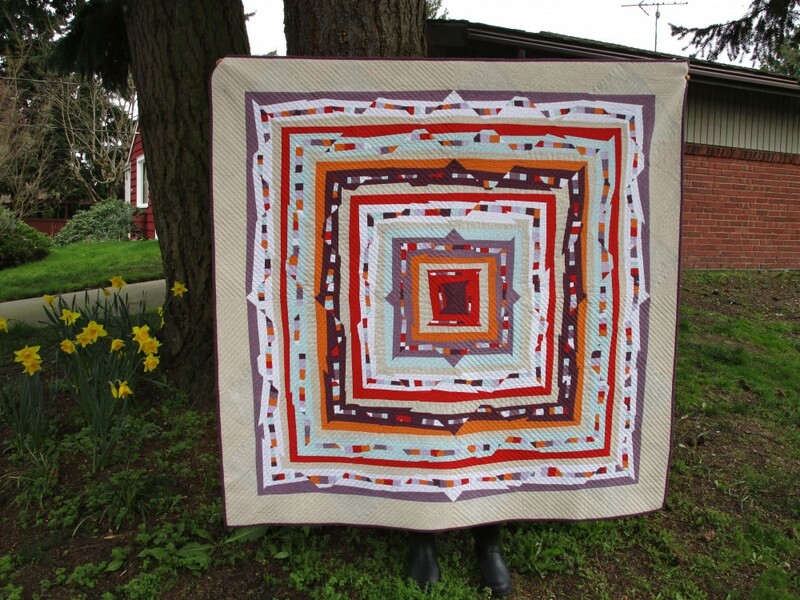 Krista brings a quilt top to a whole new level with her signature style of quilting. AND she won 1st place in Machine Quilting! It’s no surprise. It’s amazing. and we had good laugh over the unintentional (or maybe) subliminal Star Trek symbol. I polished it off with a narrow faux binding to give it a little bit of a frame with out the distraction of a colored binding or the flat edge of additional background fabric. 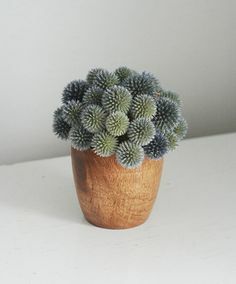 It’s soft and lovely. 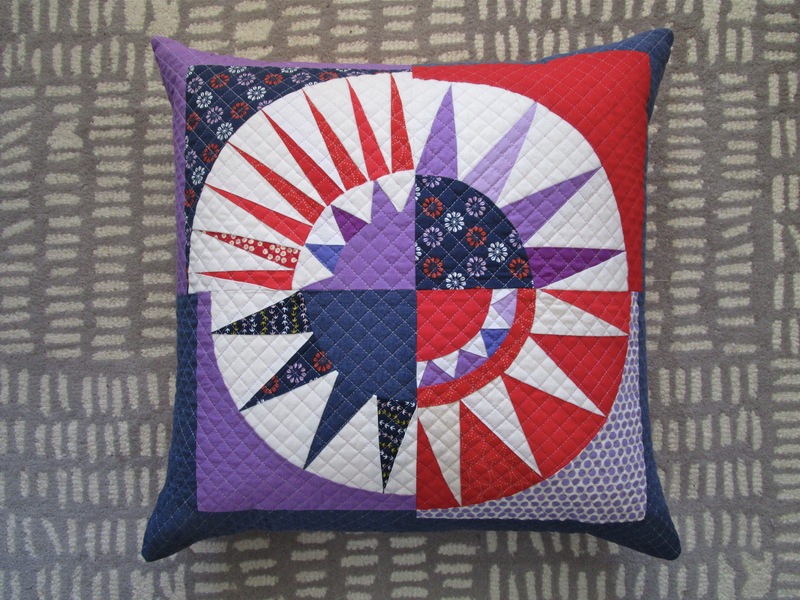 This is not our first collaboration merging design and quilting. 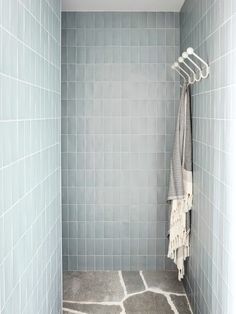 When it comes to negative space I call on Krista. Krista quilted my Scattered Remake. 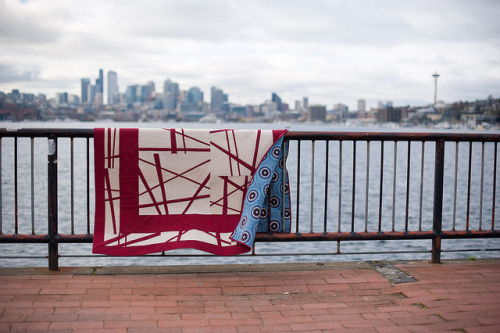 And my Seattle Lone Star Quilt. 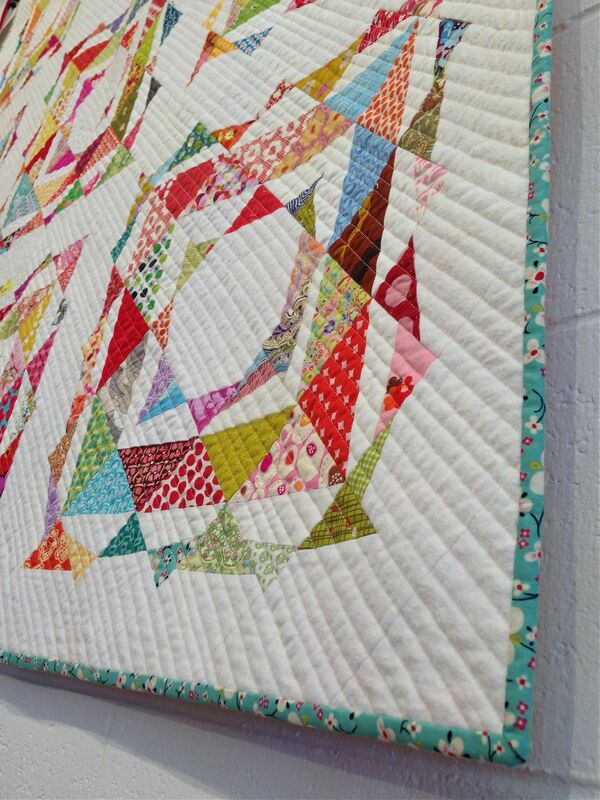 You can see more detail of Krista’s quilting in our other work together by following the links. I’m off to lecture and teach this week in Victoria B.C. 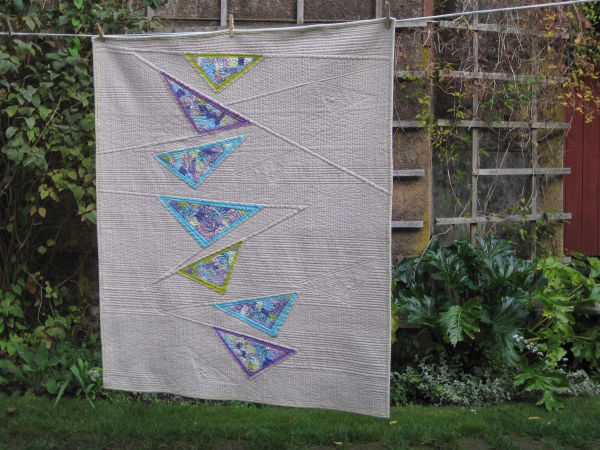 for The Victoria Quilter’s Guild (information on that here if you want to join in). 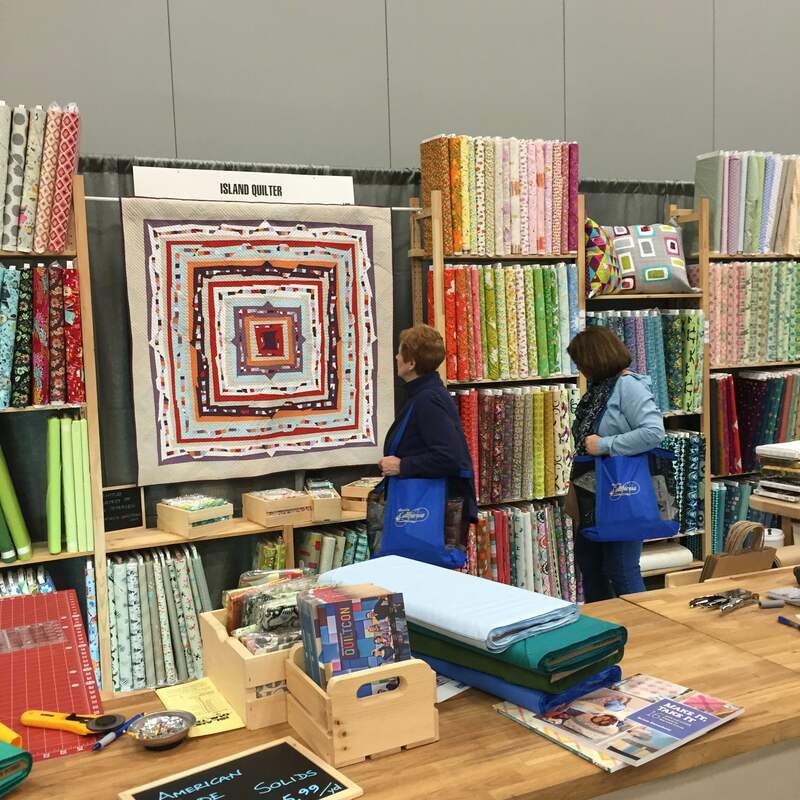 I really enjoyed looking through their event lists and seeing how open they are too inviting ALL types of quilters into their world. I’m sure I’ll learn a lot in the days I spend with them. 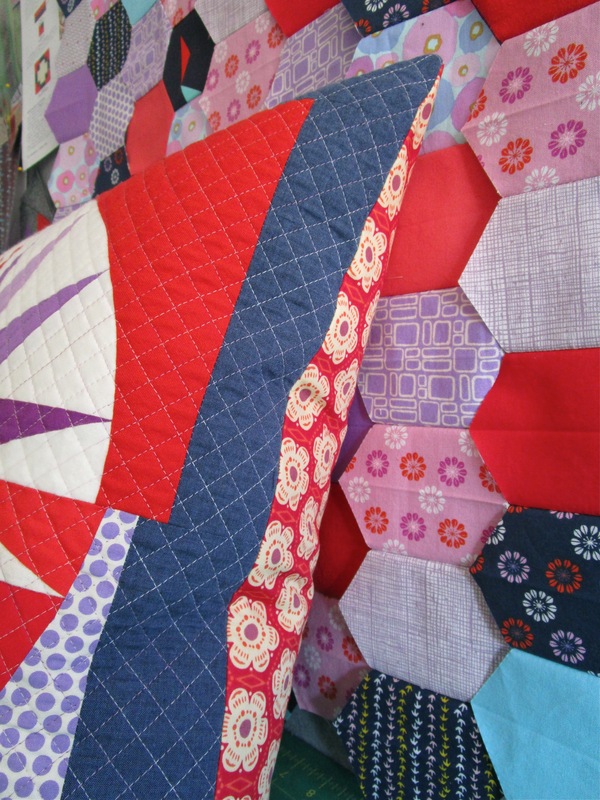 Full FYI (1) spots in Saturday’s paper piecing workshop. 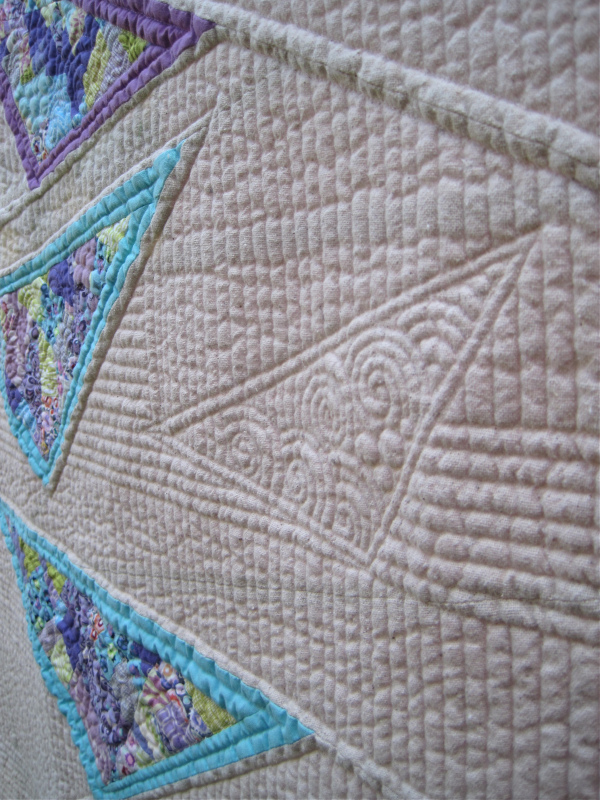 I showed and sold Psychedelic Baby at Quiltcon 2013. 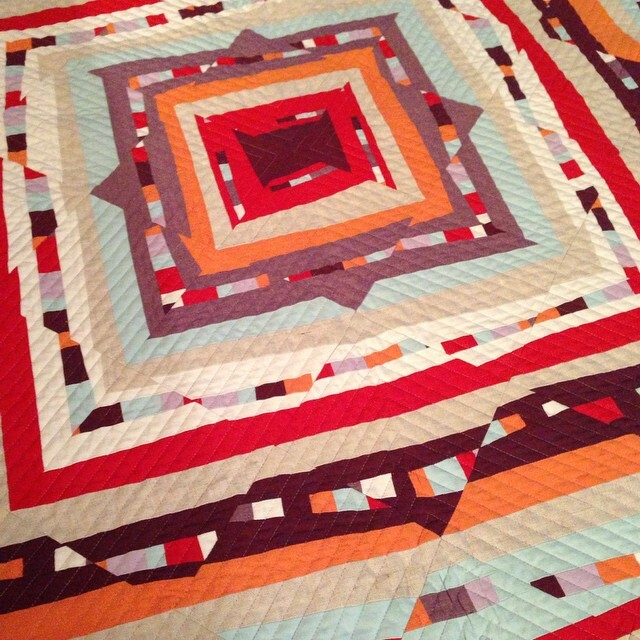 It is still one of my favorite quilts and block workshops to teach. 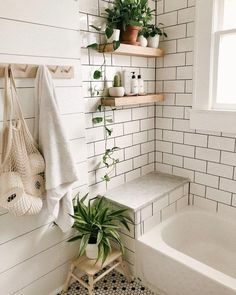 I love blocks that provide so much design potential. I instantly wanted to recreate Psychedelic Baby a little differently, so I upcycled the leftover bits into a new quilt with a little different take. I’ll call it On Target. 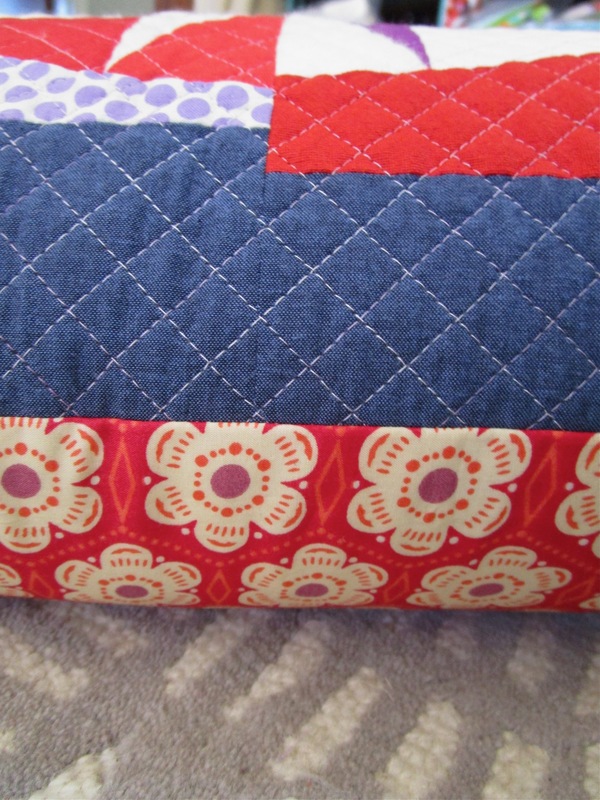 Just as with any quilting I learned some things. 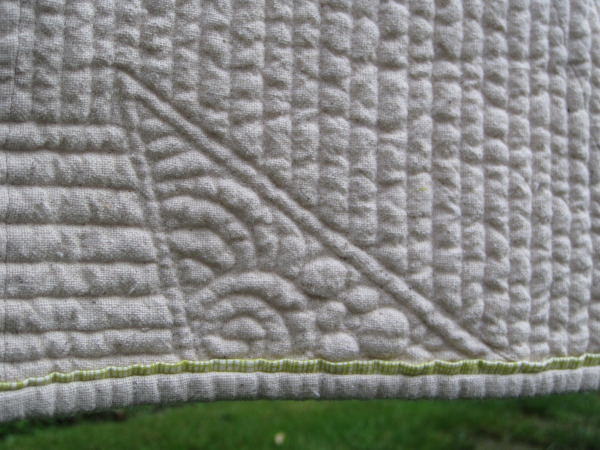 The amount of linen and shot cotton meant some stretching would occur and my choice of quilting didn’t help. As I reached the smaller outer edge with my “V” things started puckering. 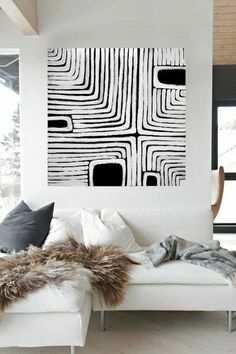 If I was to do it all over again I would stitch in the ditch between the blocks that create the “V” shape and then go back in between with the fill lines on the blocks. This likely would have stabilized it a bit more. I was also lazy on switching directions when quilting the same side and this certainly didn’t help. But let’s not take things too seriously, it’s just a quilt. On the back I showcased an Alexander Henry print that I love. This was all I had of it and I’m continuing on my path of using what I have to create quilt backs. The binding I made twice. 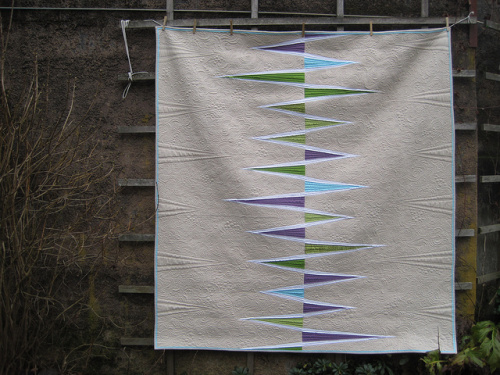 I wanted to reproduce the feel of the original quilt and selected the light blue with out auditioning it. Poor choice. 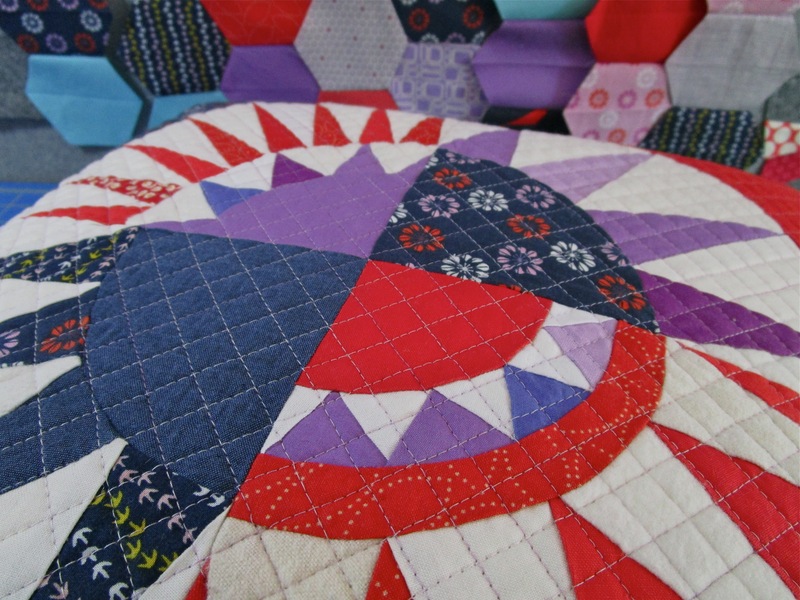 This quilt needed the drama of the dark purple. 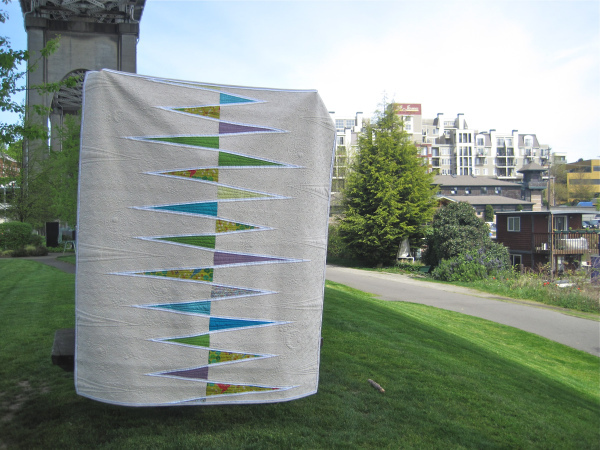 I finished it up just in time for Anja and Paul of Island Quilter to take it with them to Quiltcon for their booth. AND I have another layout in process to add to my Psychedelic Baby Quilt Block workshop samples. I’d think it might never end, but I’m officially D-O-N-E with this color way. Paper piecing workshop development and sample made, CHECK! And totally drool worthy if I don’t say so myself. 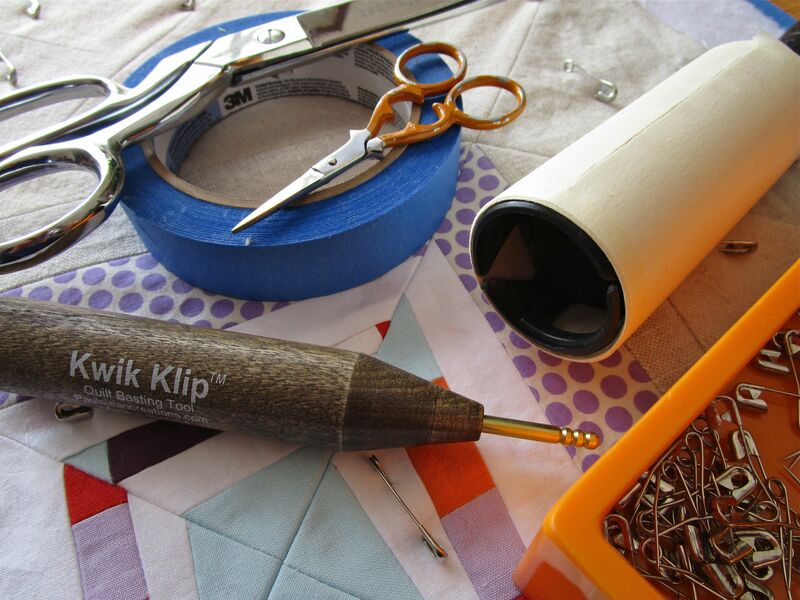 The Foundations of Paper Piecing Workshop is listed if you find yourself with some spare time on March 14th. A New York Beauty block has been on the bucket list F-O-R-E-V-E-R. I bought just enough new make me happy fabrics and combined them with some old to create a new to me color way. 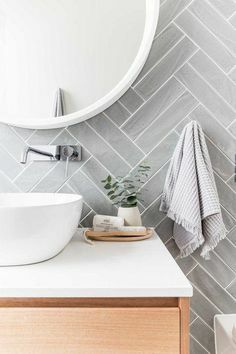 It seemed to just come together on the design wall so effortlessly. As usual it matches nothing in my house. The white/creams I pulled from the scrap bins. There’s even some flannel in there. It ended up that neither the shot cotton and the flannel on the front, nor the voile on the back created the headaches I imagined. I almost put the voile back into the stash. It’s one of those fabrics I have to force myself to cut into if I had curtains in mind five years ago. There’s still that hope of getting to that alive;) The decision was a good one, it pairs perfectly with the front. 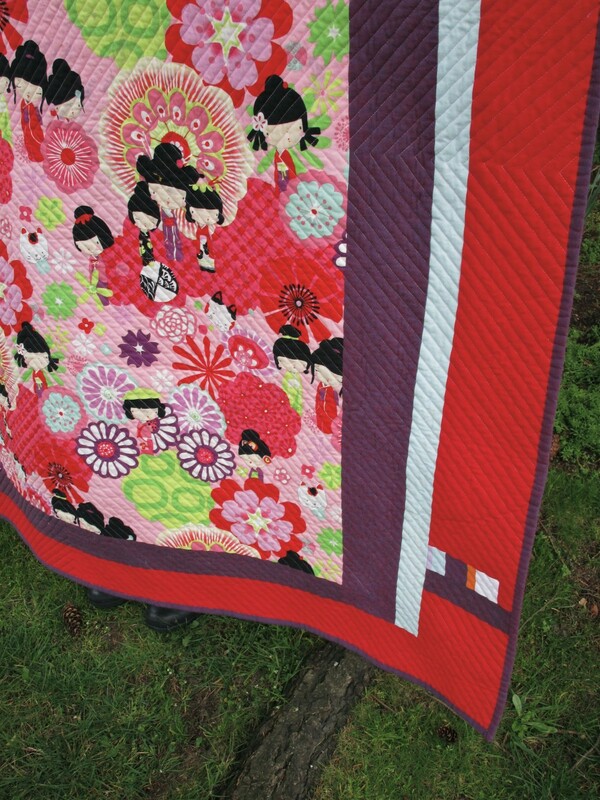 If you’re headed to Quiltcon please go say hi to my quilts. 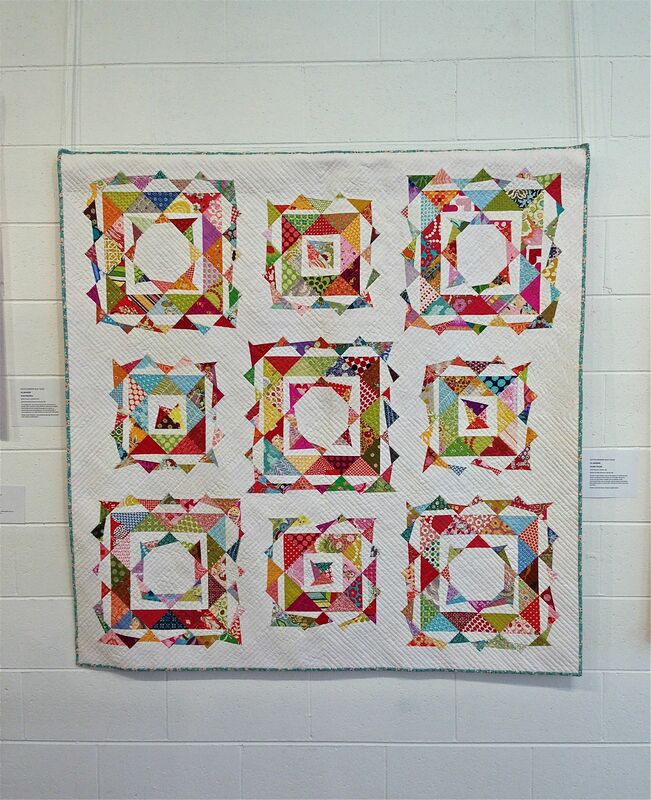 There are two on exhibit and I just finished up this one here for display there in Island Quilter’s booth. It will look a little bit more lively than it does it this taken at midnight photo. 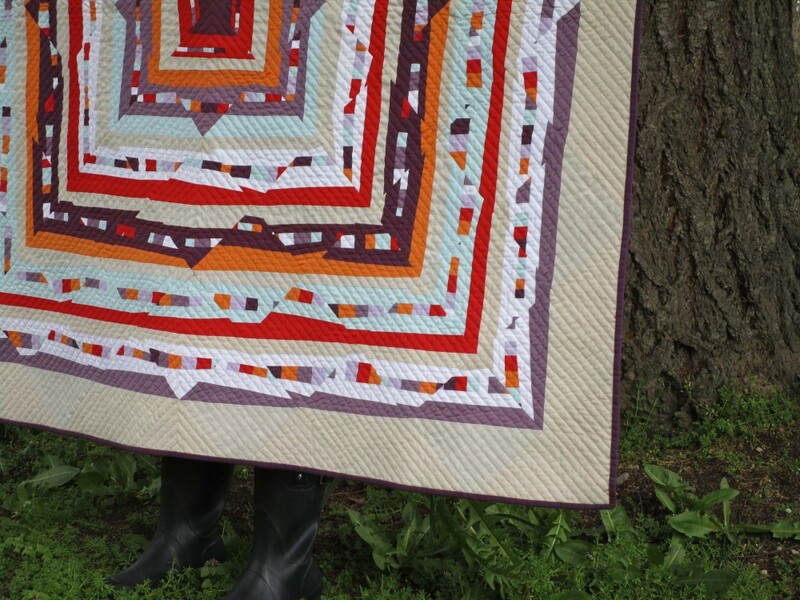 This quilt thoroughly falls under the “it doesn’t have to be perfect to love it” category and I considered not sending it due to some obvious struggles I had quilting it, but then I reminded myself that perfection isn’t what it’s all about. 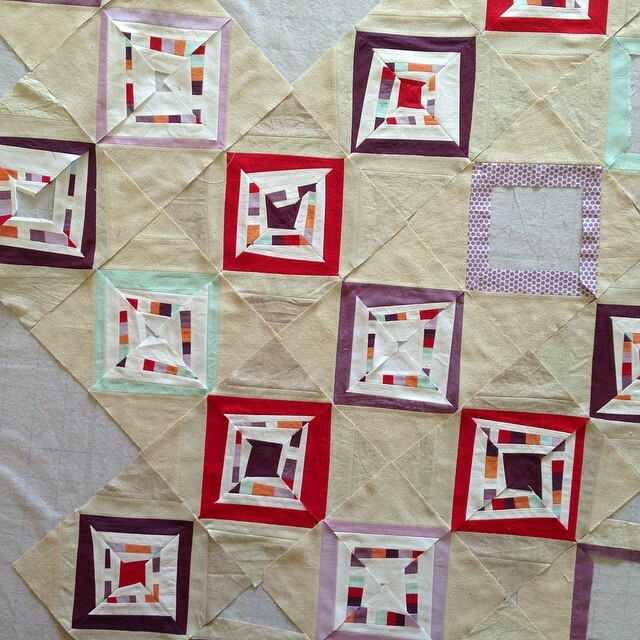 As I’m making one quilt I generally have block cast-offs and another design lay out evolves. 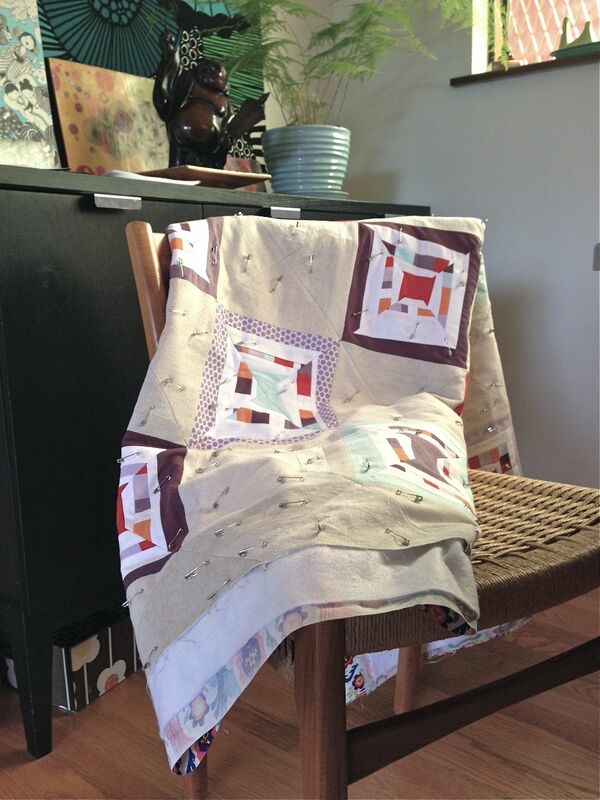 That’s just what happened with the leftovers from the Scrappalicous Double-Trouble Quilt I made a while back. 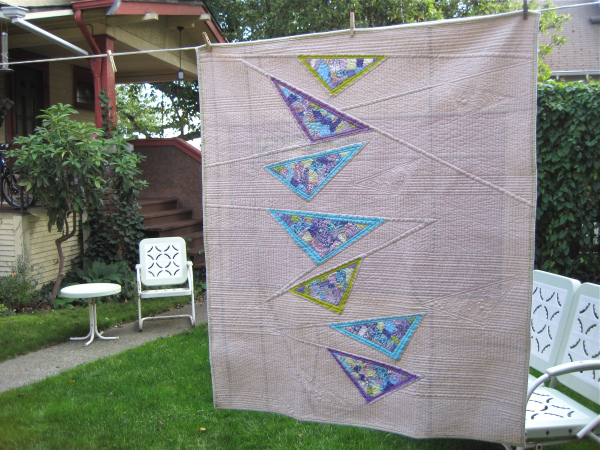 What I call the Double-Trouble block is a half-square-triangle with an improv Stitch and Flip triangle on one side. Merging the two triangle techniques creates a block that is both controlled and chaotic. 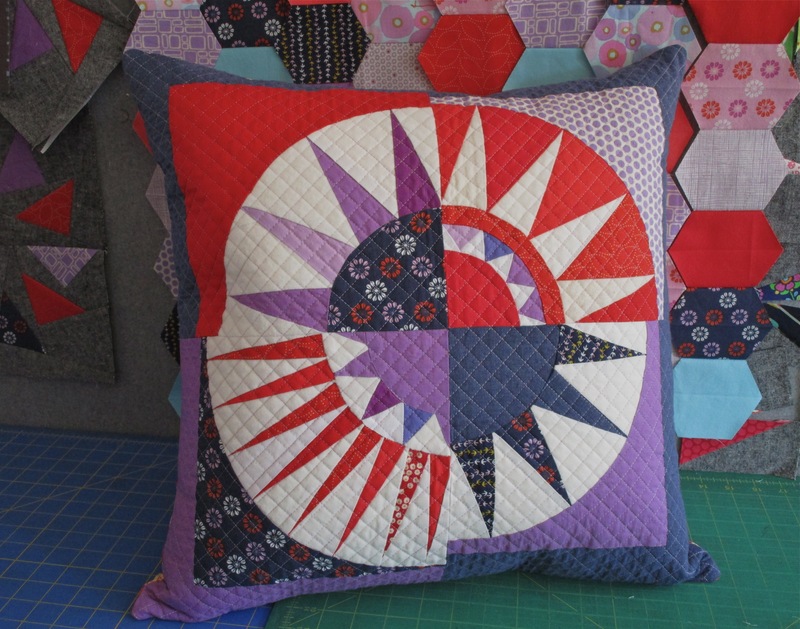 The Swirling Medallion quilt we made in Quilting Modern has the directions for the Stitch and Flips and my tutorial for hst is combined with my value quilt tutorial. 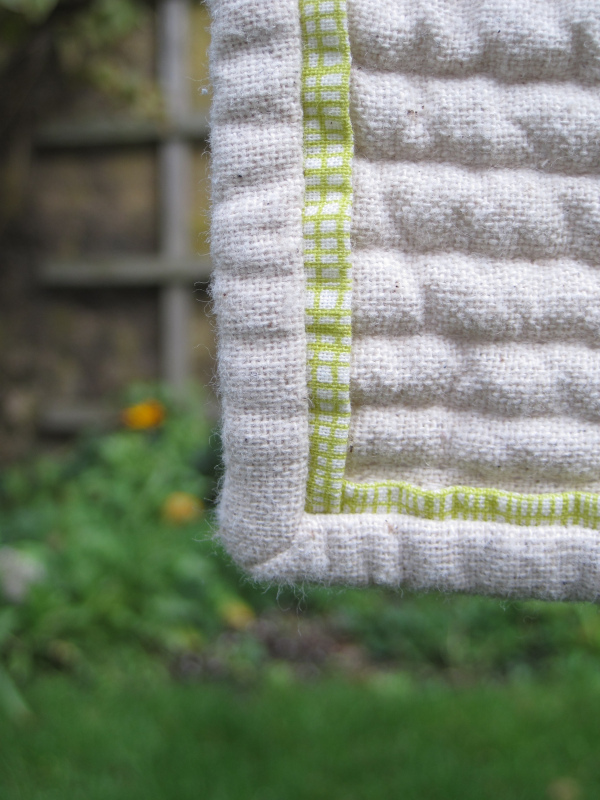 This time around I thought I’d try out the squares by turning what I had on point and giving them some space to breath. I love the scrappy controlled sets. 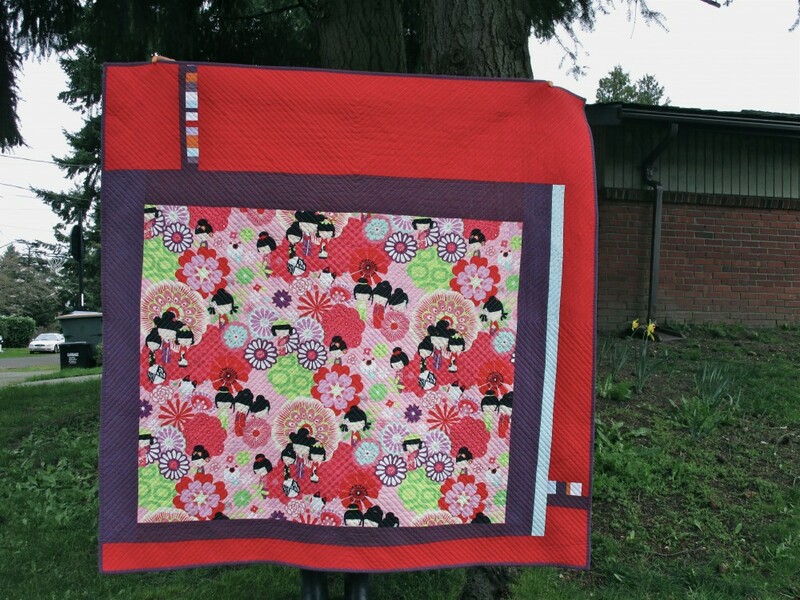 I tried my best to create the whole quilt, even the background with scraps. There’s a mix of flannel, muslin, and other neutrals that I used for landing the improv triangles. 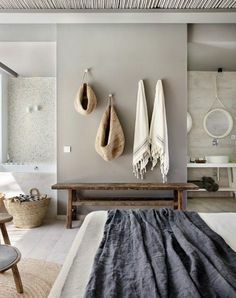 Anything goes for the triangles, voile, flannel, home decor and corduroy are all present. I failed on using left overs for the binding. This small scale print from Alexander Henry’s Farmdale line was perfect. 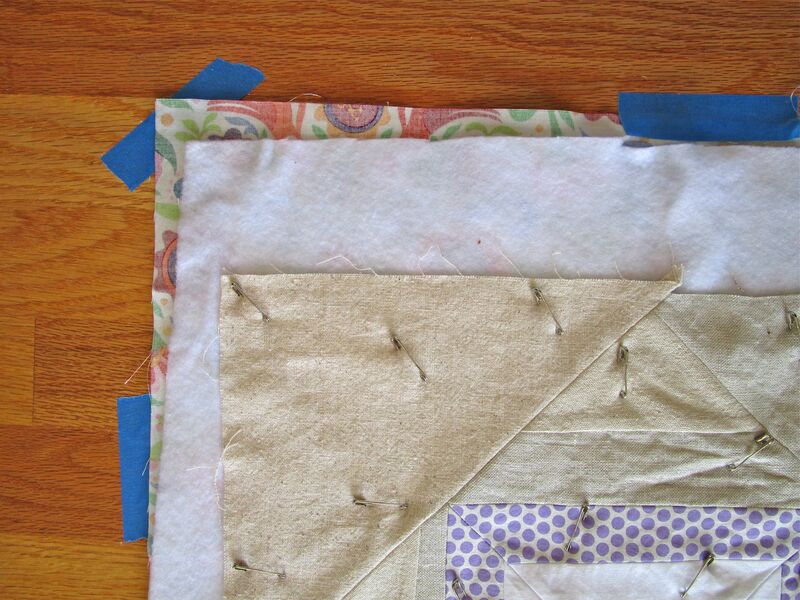 I could have adjusted my neutral squares in some places with a larger size, but keeping everything to 3 1/2″ squares created more texture and depth. The backing is another old Alexander Henry. Shocking I know. One of my goals this year is to have my backings consume cast offs from the front and fabric from stash. This challenge so far has led to creating some backs that I’m rather smitten with. Unfortunately I don’t have a current full shot to show you what I’m talking about. 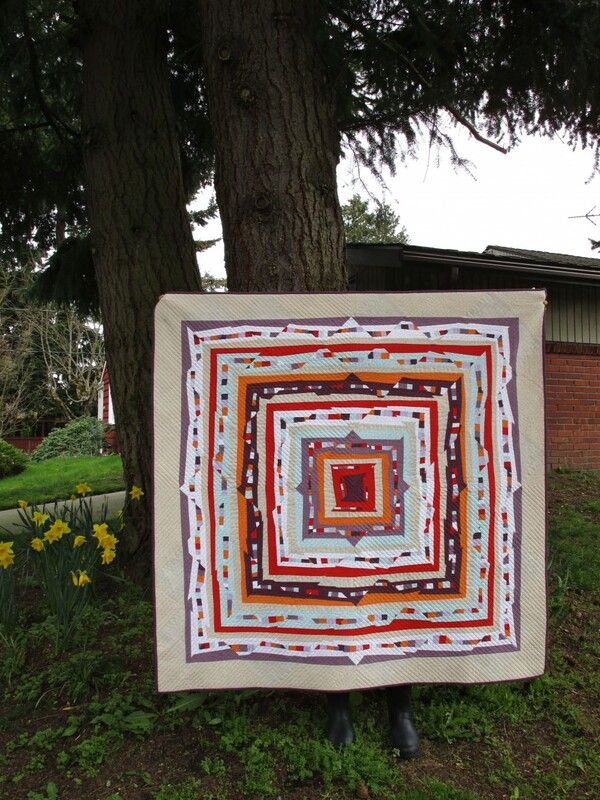 The quilt hangs at Island Quilter on Vashon Island for the month of January with other lovelies made by my peeps in the Seattle Modern Quilt Guild. Go take a ferry trip!